Chicago, Ill: In a time of rising animosity toward immigrants and people of color, Raks Geek, a majority Asian-American bellydance and fire performance company founded and directed by a Singaporean immigrant, is using nerd-themed art to take a stand. 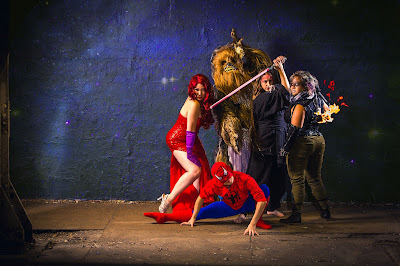 This month, they're teaming up with AFIRE Chicago to protect immigrants' rights while offering a new version of the production that's been hailed by The Daily Mail as "sci-fi seduction" for featuring acts like a bellydancing Wookiee. Though based in Chicago, Raks Geek has made waves nationally and internationally on MSN, The Daily Mail, WGN-TV, and UK Channel 4 TV through their commitment to blend a high degree of artistic and technical mastery with fun, creativity, and themes from nerd culture. 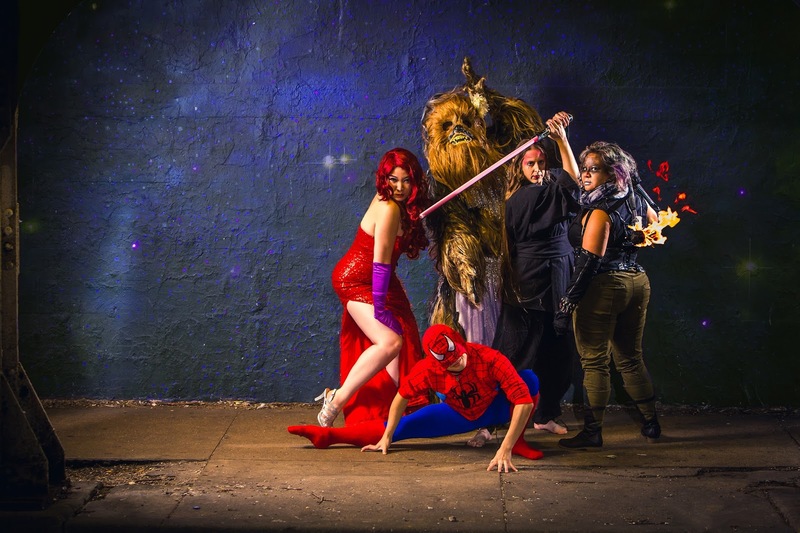 On Friday, March 28 at 10pm, the group will feature bellydance and fire performance tributes to Star Wars, Iron Fist, X-Men, and more. A portion of proceeds from the one-night performance at Uptown Underground will be donated to AFIRE Chicago, the Alliance of Filipinos for Immigrant Rights and Empowerment. "Representation matters," says founder/director Dawn Xiana Moon, who is Chinese-American by way of Singapore. "While our society pigeonholes Asians as socially-awkward scientists, perpetual foreigners, and weak submissives, I’m determined to show that Asians - even those of us born in other countries - aren't who the stereotypes imagine us to be." Founded by Dawn Xiana Moon in 2012, Raks Geek showcases the talents of bellydancers and object manipulators who are each stars in their own right: They've performed everywhere from Germany to Morocco and dance for hundreds of people every week. Company members include Kamrah, who has taught and performed at Tribal Fest (the largest tribal bellydance festival in the world); Lee Na-Moo, winner of the 2010 Chicago Oriental Dance Competition, member of modern/contemporary company Joel Hall Dancers, and touring cast with Bellydance Evolution; Michi Trota, Hugo Award winner and board member of the Chicago Full Moon Fire Jams; and director Dawn Xiana Moon, who performs 100 shows a year with Read My Hips tribal bellydance and Acrobatica Infiniti Circus in the US and Canada.